E-commerce accounted for 453.46 billion dollars spent on retail purchases in the United States last year. Depending on how you crunch the numbers, says Internet Retailer, that represents about 13 percent of all retail sales in 2017. And that number grows year after year. If your retail business isn’t already taking advantage of e-commerce, you’re leaving a lot of money on the table, where your competition will be all too happy to take it. Not sure if e-commerce is the right fit for your business? 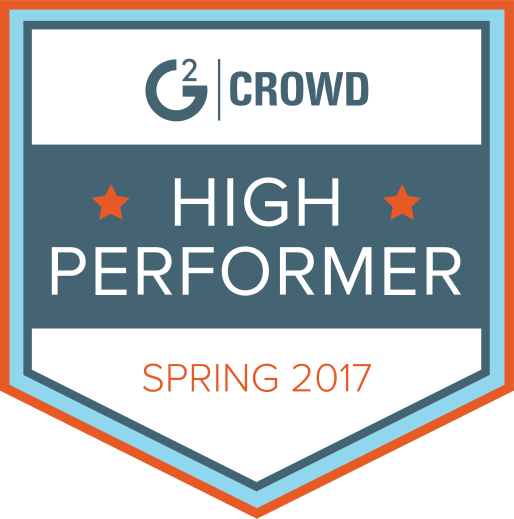 Already there, but have the feeling you could be doing more — and better? Just about ready to give up? Before you make your next move, be sure you have the right information to take the right steps, right now. The 25 sites below, categorized for easy reference, will get you started with the information and tools you need for maximum impact. We all start somewhere. 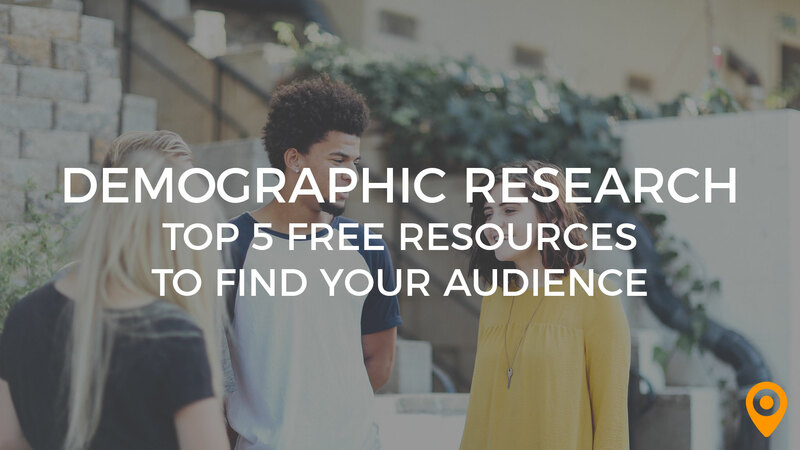 These sites will arm you with the knowledge to start off on the right foot, with fewer mistakes and headaches. 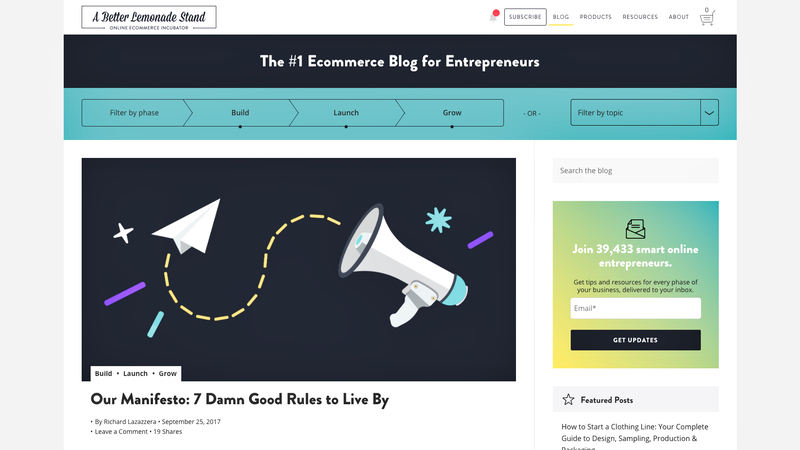 The brainchild of blogger Richard Lazazzera, A Better Lemonade Stand takes you stage-by-stage through building an ecommerce business. Lazazzera is affiliated with Shopify, so you’ll see frequent mentions of the company in his posts. More to the point, however, you’ll also see something much rarer: a peek behind the curtain, since he’s transparent about the good, the bad, and the ugly of building a business from scratch. This could just as easily go under our Tech heading (see below), but we’re putting Ecommerce Platforms here for a reason. Choosing the right providers for a variety of services — your e-commerce backbone, payment processing, and so much more — is one of the hardest parts of getting your e-commerce off the ground. Catalin Zorzini’s reviews and articles aim to make the process a bit easier. 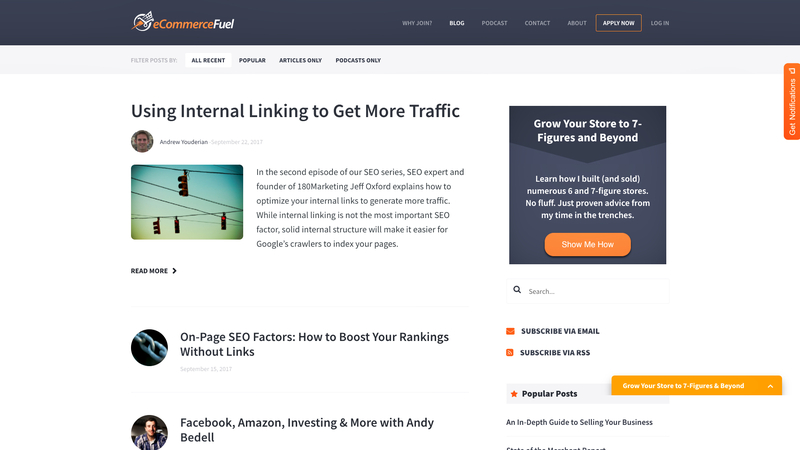 Andrew Youderian takes on nearly everything e-commerce related on his popular eCommerceFuel blog. Marketing — especially as it relates to SEO — is a prime focus. 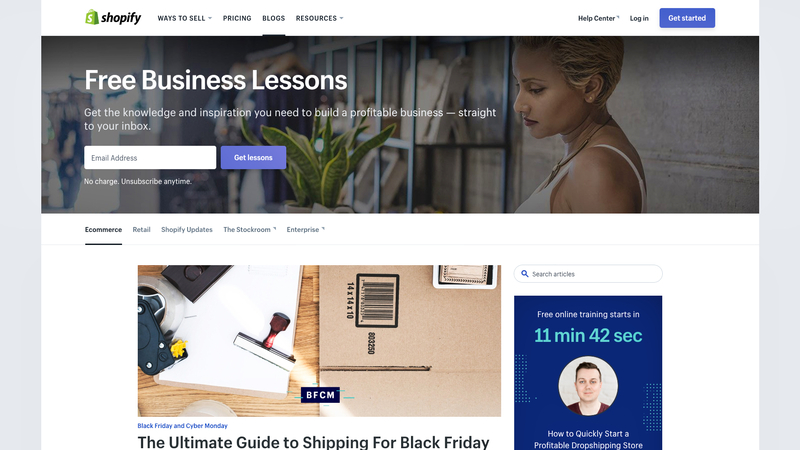 However, if you’re looking to get up to speed on other topics, including choosing a provider, managing an outsourced team, ironing out dropshipping, or understanding tax issues, this is a great place to start. True to its name, Practical Ecommerce provides the nuts and bolts of e-commerce. 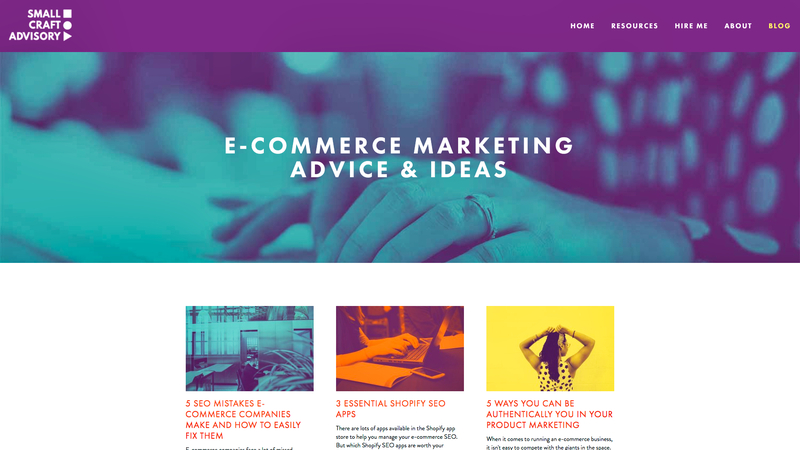 The site is as comprehensive as they come, with articles, templates, marketing ideas, market research, news, and everything else you need to launch a successful e-commerce business. There’s no such thing as “one size fits all,” but this is about as close as we’ve seen. 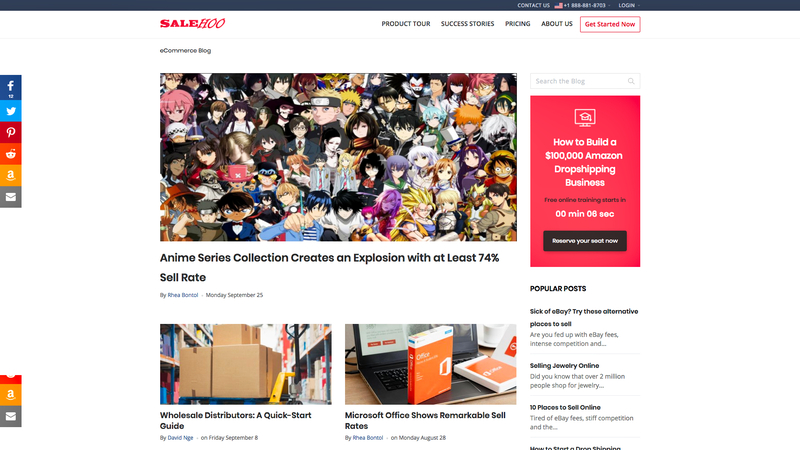 With posts covering everything from what to sell to where you should sell it, SaleHoo is a great resource for beginners. There’s just the right amount of depth; you’ll come away with the information you need without feeling worn down by the end of each post. There are how-to guides for individual niches, problem solving for common issues, and more. Congratulations, you have a web store! So does everyone else, it seems. Time to get found! It’s one thing to assert that something works, or doesn’t. Blue Stout goes a step further, taking you behind the scenes to show you why it performs the way it does. 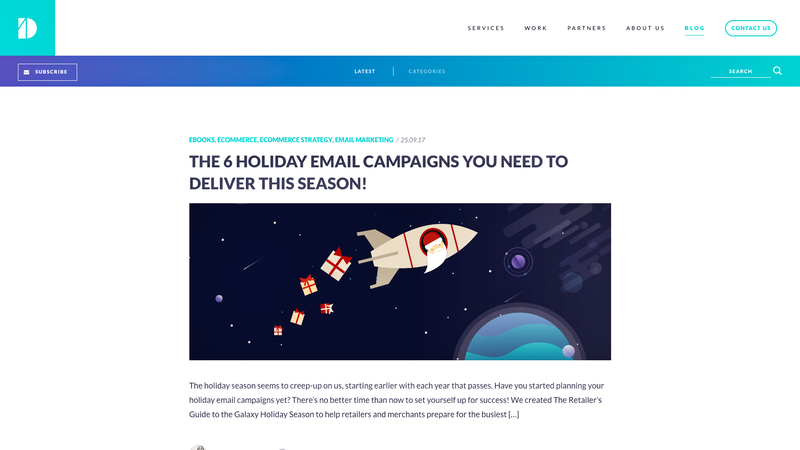 From how-tos to case studies, there’s plenty of advice on getting better leads and converting them once they’re on your site. While organic efforts — search, content, and a healthy social media presence — are all vital, none of them alone will get your business where you want to be. 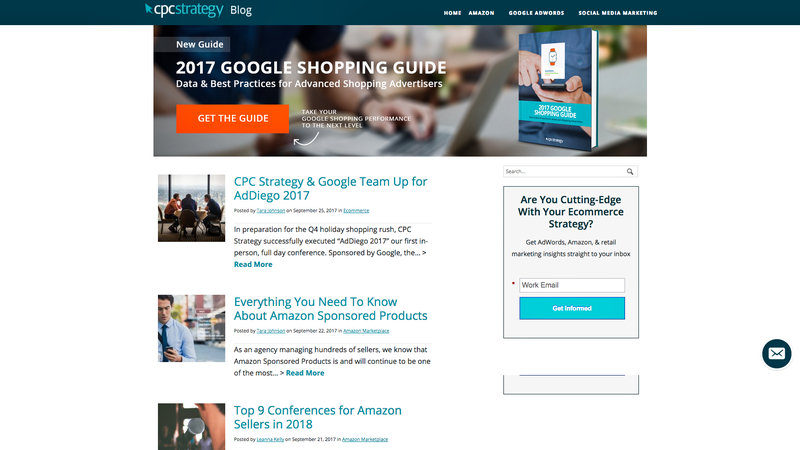 The CPC Strategy blog serves as an introduction to the other half of the equation: promoting those presences through paid marketing. Expect diverse content on fundamentals like Facebook ads and even more arcane topics like geofencing for better local search. PPC, big data, analytics… your marketing strategy is about much more than what you’re probably thinking of as “marketing.” Demac Media covers the lot of it. 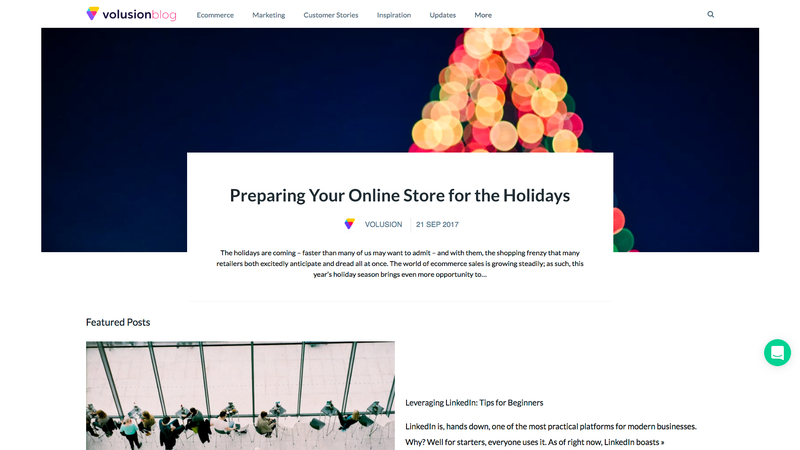 As we write this, they’re already helping ecommerce operations get up to speed for the holiday season, but there’s plenty of evergreen content (if you’ll pardon the pun) as well. Sales and marketing advice is easy to come by. Good sales and marketing advice? Not so much. That’s why we like Duct Tape Marketing. A series of blog posts and podcasts — often featuring interviews with rising stars in the industry — it’s consistently quality content. Katherine Raz cut her teeth at Indiegogo before going indie herself and starting Small Craft Advisory. 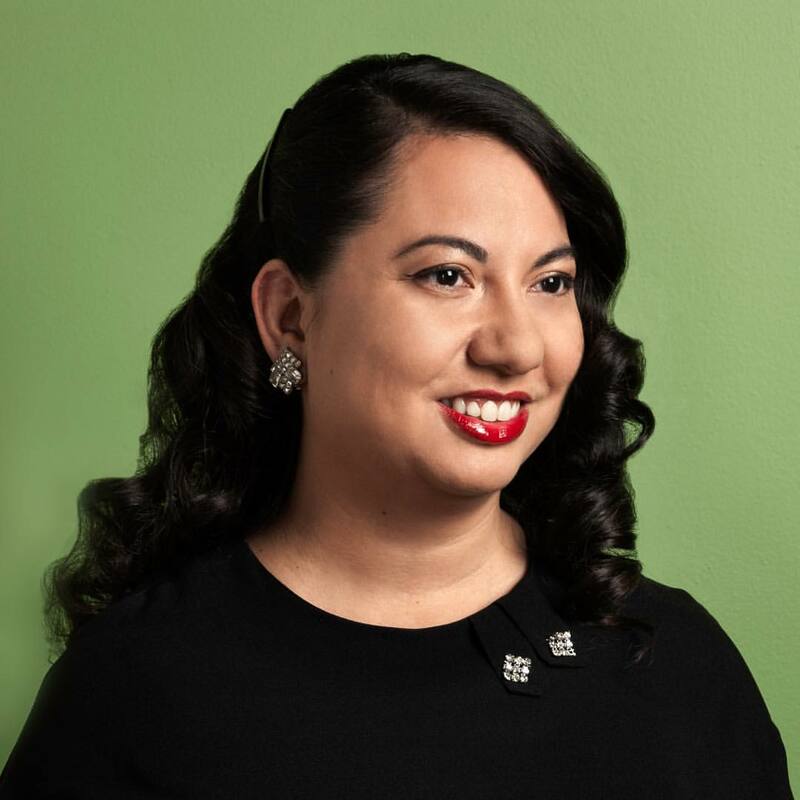 She’s a consultant and lecturer who helps small businesses and e-commerce brands find their mojo online. Her blog covers the fundamentals, from telling an authentic brand story to writing better product descriptions. 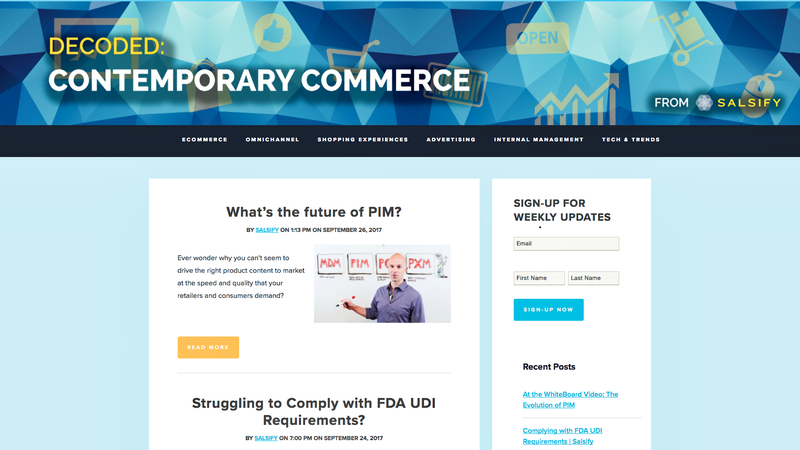 News, reviews, legal and regulatory developments: following these sites keeps you informed about the context in which your business — both the ecommerce and brick-and-mortar sides — operates. Some e-commerce businesses are resolutely local or regional. Others are attracted to the web because it lets them sell across borders. Regardless of where your e-commerce business fits in, the news and resources on Ecommerce Nation should come in handy. What does Amazon Alexa mean for the future of e-commerce? What will the cloud do to, or for, ERP? What will the Equifax breach do to your business? 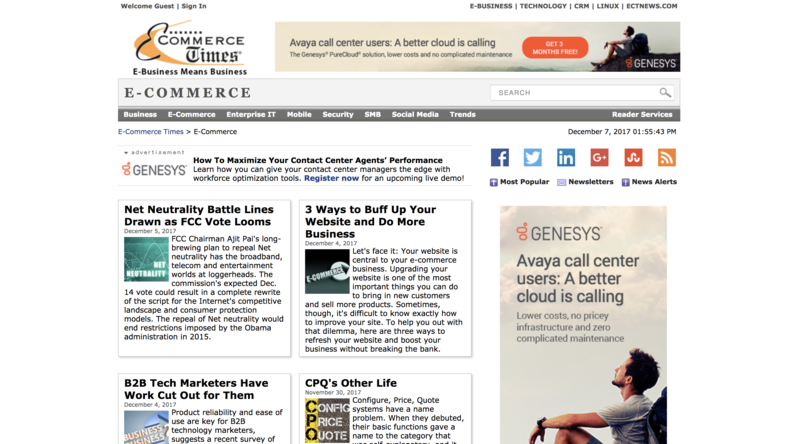 Ecommerce Times answers these questions and many others for their readers. 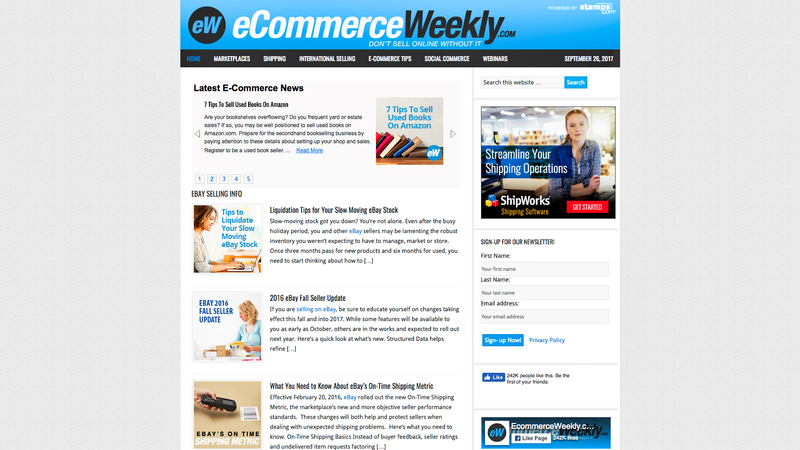 Ecommerce Weekly takes a broader view of ecommerce than most. What that means in this case is that in addition to the usual ecommerce news, you’ll also find tips for those using Amazon and eBay as their primary sales channels. If you’re taking the more traditional approach, don’t worry; there’s news and tips for you here as well. Not everyone approaches e-commerce from the same angle. For some, it’s meant to augment an existing brick-and-mortar; for others, it’s a stand-alone business; for others still, it’s a side hustle. 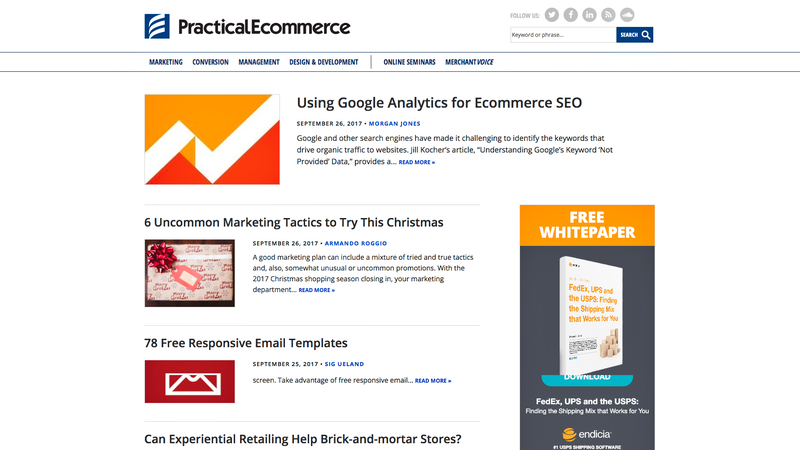 Entrepreneur’s Ecommerce blog provides content that covers all the angles. 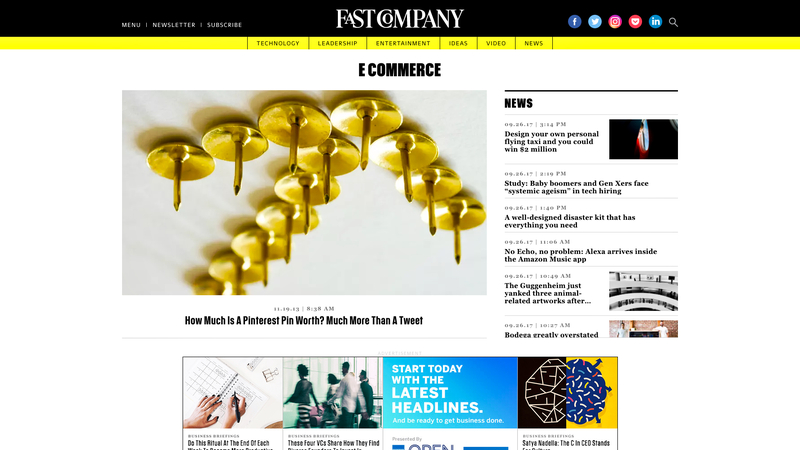 They’re all about innovation and disruption, and the e-commerce news from Fast Company is no exception. Technological developments play a heavy role, but so too do profiles of entrepreneurs shaking up the e-commerce space. If you like your news with a shot of inspiration, Fast Company strikes a good balance between information and aspiration. 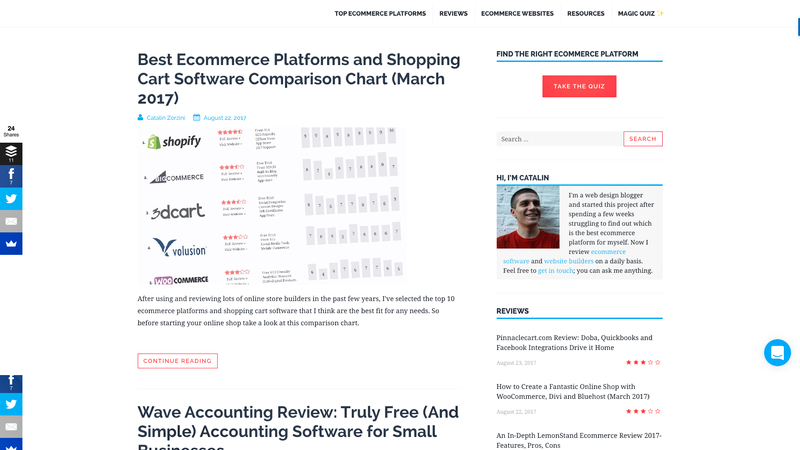 Whether you’re integrating a POS system with your website, choosing a web designer, reading up on plugins, or just trying to figure out what an API is, you’ll find what you need from these ecommerce tech blogs. 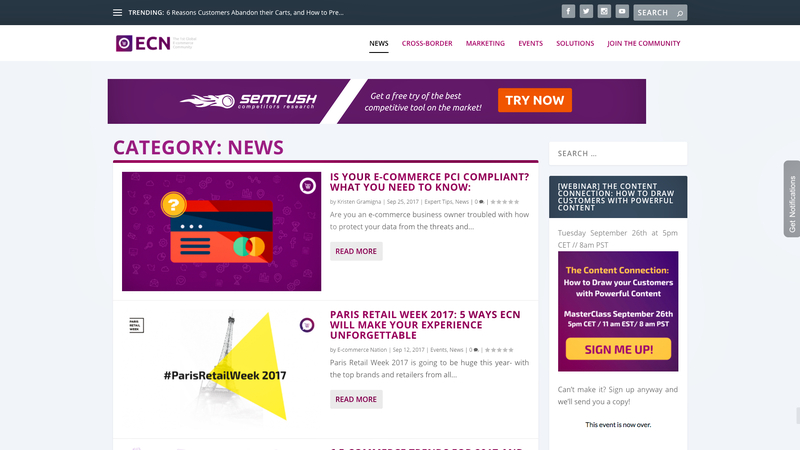 This is the blog presence of Salsify, which provides content consulting to e-commerce businesses. 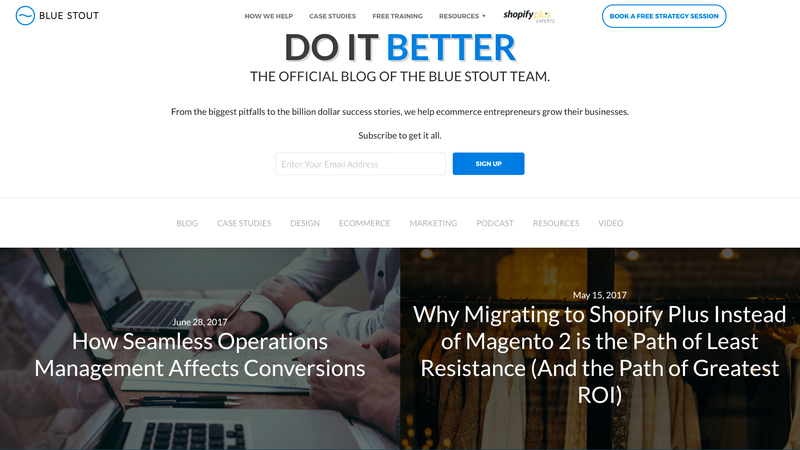 Interestingly, their blog Decoded: Contemporary Commerce is focused less on content than on technology, including concerns with supply chains, data, analytics, and building the right IT team. Their Tech Trends category does better than most at not only explaining, but anticipating, technological developments. 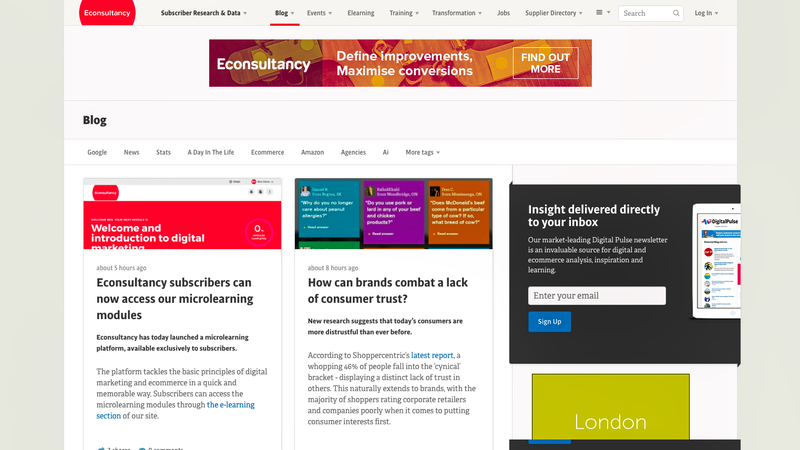 Specialists in statistics, big data and analytics, Econsultancy offers studies and white papers covering those fields in depth. Their blog looks at e-commerce technology more generally. Articles on topics as varied as emojis, chatbots, digital privacy, and legal issues are all fair game. Curious about the technology behind the technology? 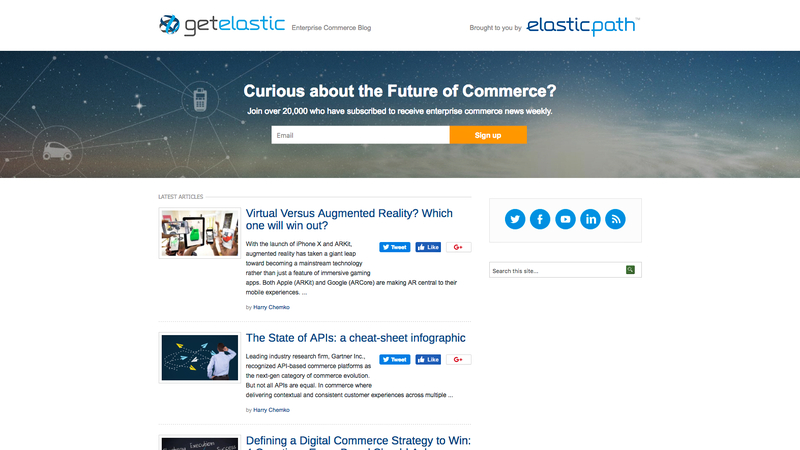 Start with Get Elastic. Their blog is full of the latest technology that’s designed to augment your, and your customers’, e-commerce experience. 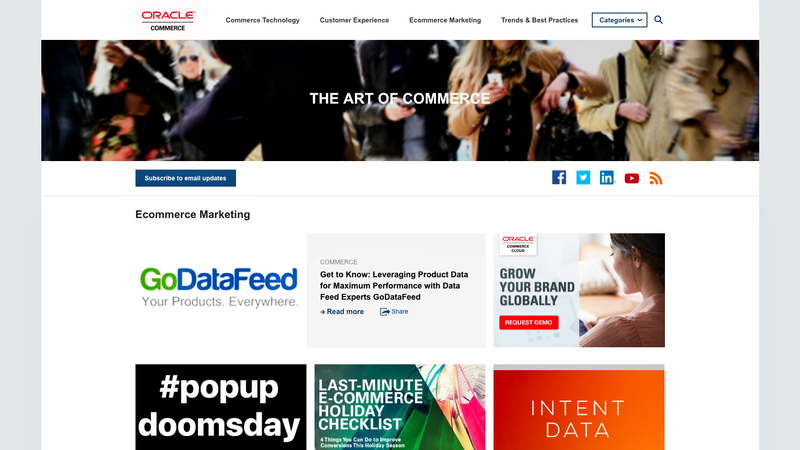 Synonymous with data and analytics, tech giant Oracle turns its attention to e-commerce with the Oracle Commerce blog. There’s a heavy tech focus, but there are some other surprising nuggets here as well. 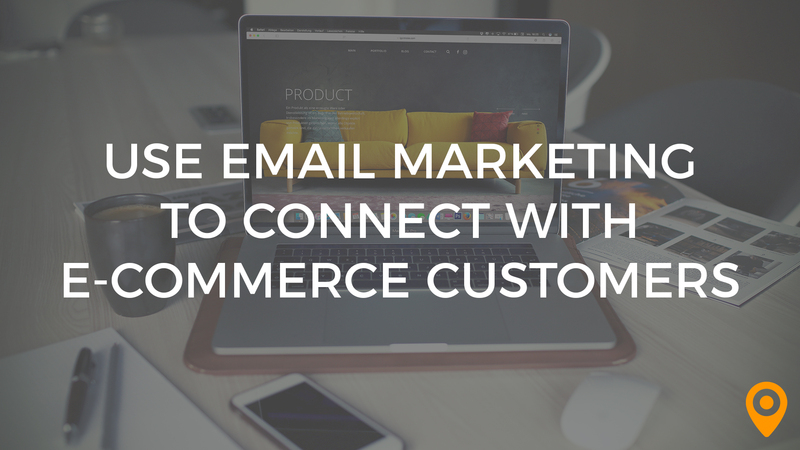 You’ll find advice on branding strategy, Google updates, and even a bit of social media, all viewed through the lens of e-commerce. News? Technology? E-commerce? The short answer: Yes. 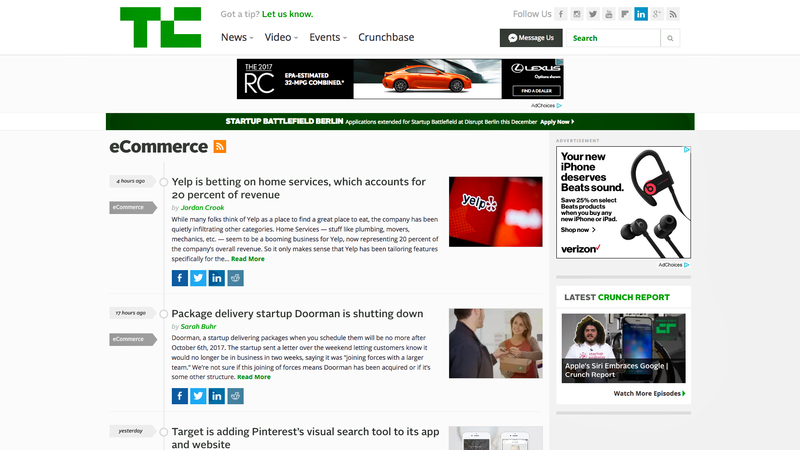 TechCrunch, known for its news on all things technological, has plenty to say about the e-commerce technology space. Common topics include marketing, M&A, and new developments in the field. Let’s stipulate that practically every blog is selling something. 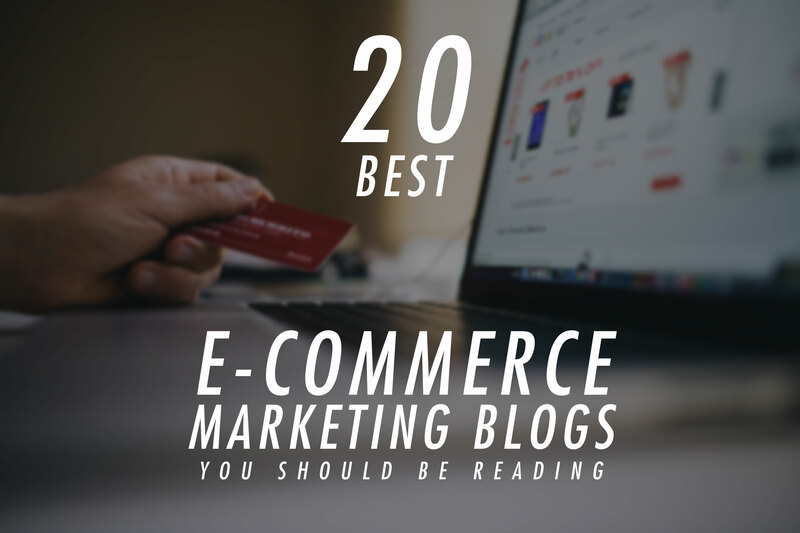 We shouldn’t overlook the blogs of some of the biggest vendors in the ecommerce space. After all, they want their customers to succeed so they don’t jump ship to another provider! With a few exceptions, those resources are freely available to the public, so you don’t have to pay to benefit. 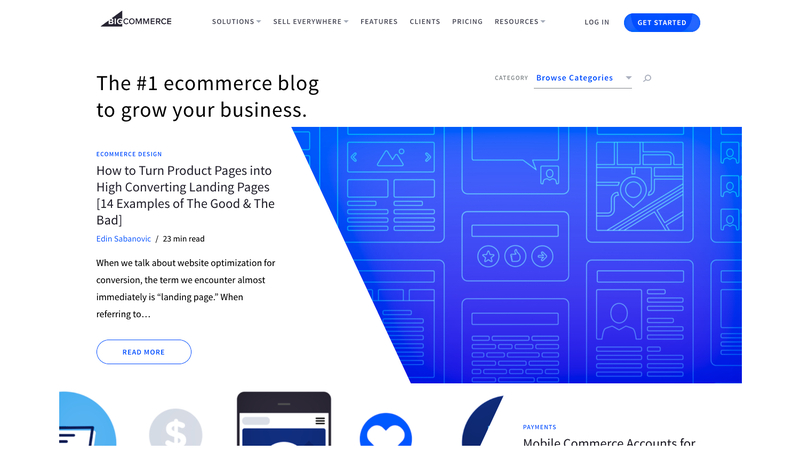 A powerful e-commerce platform that allows for CRM, blogging, sales funnels, and a host of other functions, BigCommerce is a major player in e-commerce. 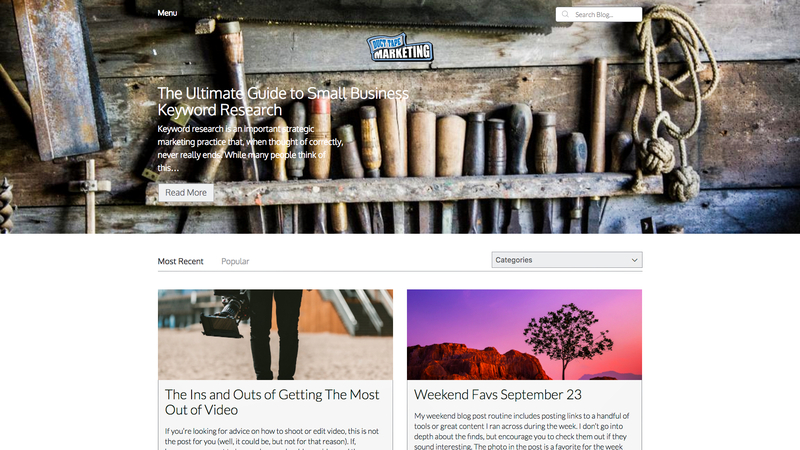 The BigCommerce blog is a popular resource even outside their customer base. That’s in no small part for the lucid, easy-to-grasp content on increasing your sales and visibility. 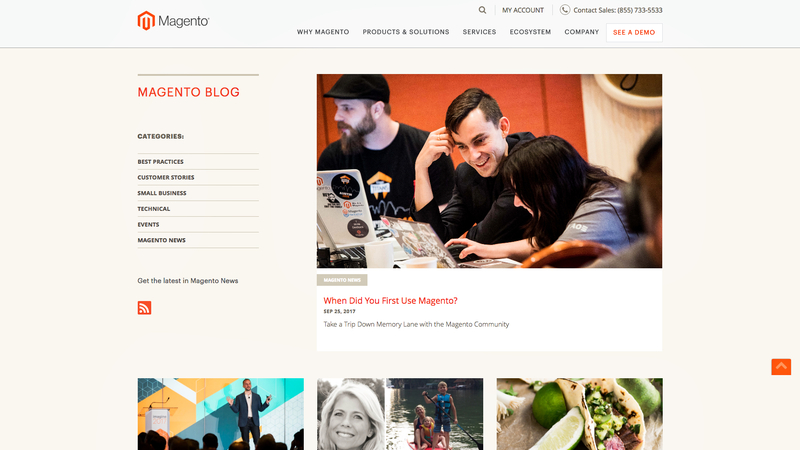 Complex but highly effective, Magento powers many e-commerce sites — including, in all likelihood, some you’ve used. 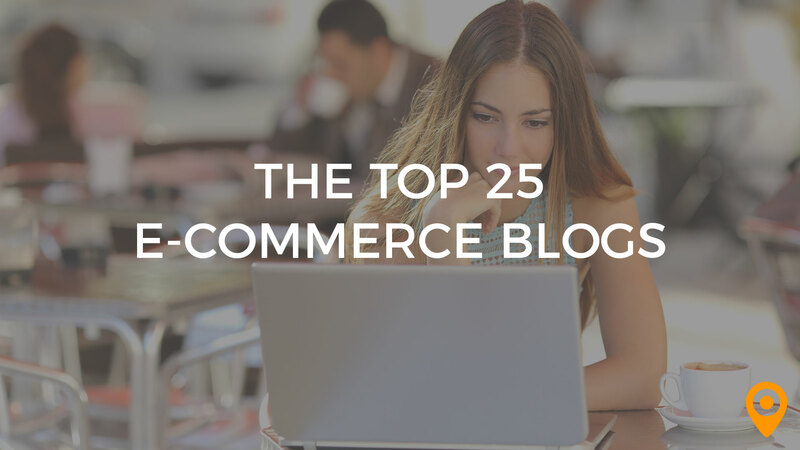 Their blog covers the technical side of e-commerce, best practices, and small business tips. However, you’ll also find occasional shout-outs to the small businesses in their neighborhood, humanizing the brand in ways we don’t often see in this space. Businesses come to e-commerce from a variety of directions and for a variety of reasons. The fact that Shopify runs four different verticals — E-commerce, Retail, Stockroom (supply chains) and Enterprise — reflects that. It also means that they make it easier than most to find content relevant to your most urgent concerns. 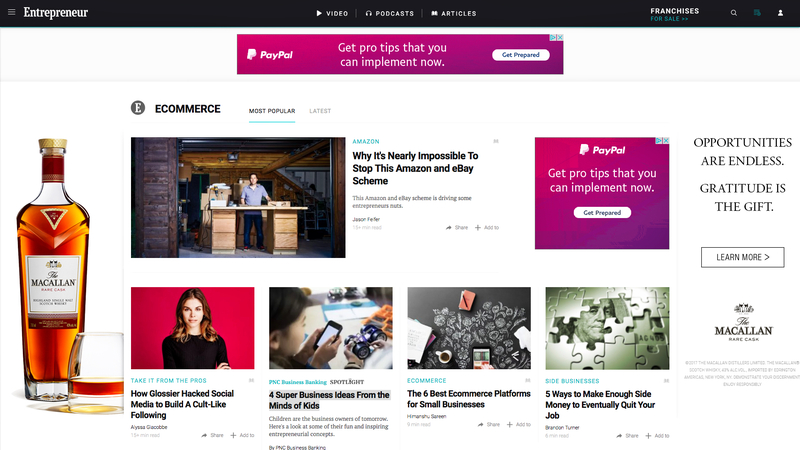 With sites that are easy to build, Volusion is popular with e-commerce novices. Their blog is another reason. With content that explains how to optimize your website, perform better on Amazon, take better product photos, and implement a loyalty rewards program, there’s something here for you even if you’re not one of their clients. A popular website builder, Wix is also the backbone of many e-commerce sites. 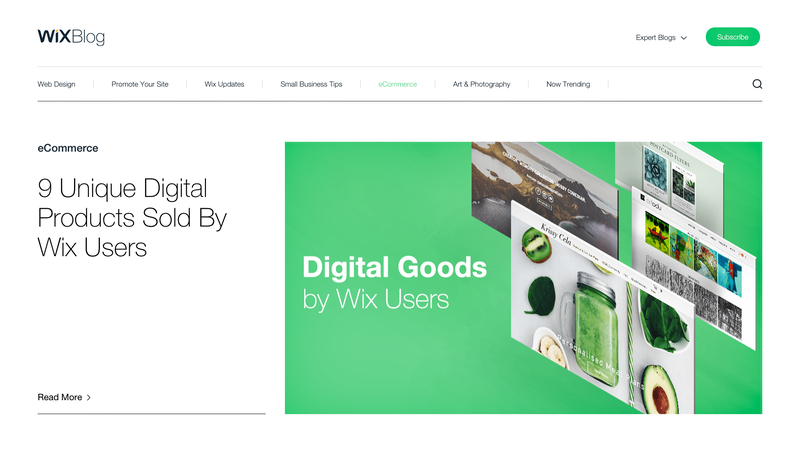 The Wix e-commerce blog throws a bit of everything into the mix. That includes selling digital products, learning more about customers’ needs, getting SEO right, and much more. Just getting started in e-commerce? Established player looking for new tools and new insights? In either case, reach out to UpCity. Our local agency directories can connect you to local e-commerce agencies who can help with your content marketing, SEO, branding, and more.